In honor of my own little Charlie Brown’s first birthday (today!) . 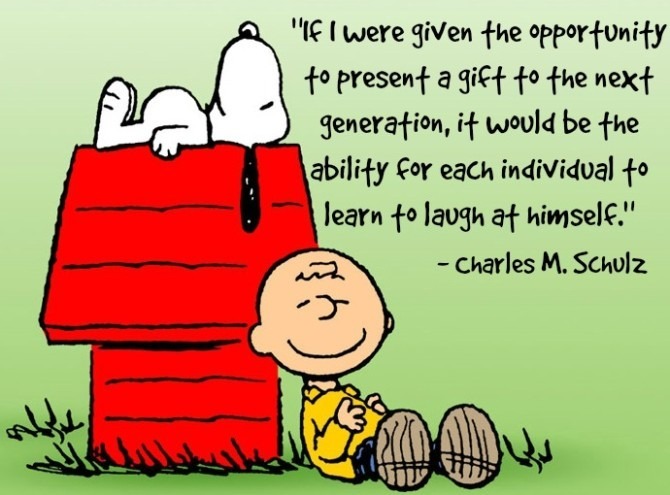 . . a timely quote from Charles Schulz himself. Let’s spend this special day laughing our hearts out!